Polls run in national dailies El País and El Mundo suggest prime minister Mariano Rajoy and his conservative Popular Party (PP) will pick up just over one in four votes on Sunday in what has been widely touted as the closest election race in the history of Spain’s young democracy. Coming in second place, according to both El País and El Mundo is the country’s other large established party - the Socialists. 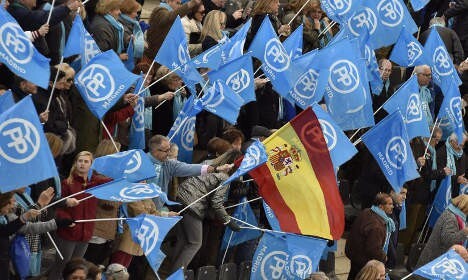 The El País poll has the Socialists on 21 percent of the vote while El Mundo suggests their share will be 20.3 percent. This would see the Socialist party - widely blamed for its handling of Spain’s economic crisis - with as few as 76 seats, out of a total of 350. However, with a recent poll from government research body CIS suggesting some four in ten voters are still undecided, Sunday’s results could still throw up a couple of surprises.